Vote For True Blue Pool On Locals Love Us! At True Blue Pool, we know that your pool is meant to be an oasis. We want you to relax and leave the work to us. True Blue offers premium all-inclusive pool care. 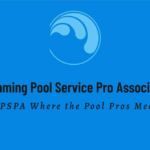 Our certified technician will manage chemical levels, clean and leave your pool sparkling and ready for your enjoyment. With our customer portal, you will receive real-time updates, review services completed, and request additional services. Regular maintenance is the foundation of a healthy swimming pool. Our premium all-inclusive weekly pool service provides our customers with everything you need to sit back, relax, and enjoy your pool. True Blue also offers limited equipment repair services. While not included in the monthly cost of service, all repairs and parts do come with a warranty. Call 254-300-9924 to schedule a consultation and complimentary water test today!